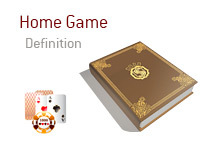 What does the term "home game" mean as it applies to the world of poker? What is the definition of the term "home game"? The definition of the term "home game" can vary. In general, a "home game" is a poker game that takes place in a private setting and in which no one person stands to financially benefit. For instance, let's say that you and a couple of your buddies get together every Monday night to play some poker. It's very casual - you have chips, beer and everybody takes their turn as the dealer. This is the very definition of a "home game". However, here is where the definition of a "home game" starts to get murky. Let's say that one of your friends has turned his basement in a mini-poker room. There are four poker tables, and all of the games are raked with professional dealers dealing the hands. Sure, this game is taking place in a private setting (your friend's home), but the fact that your friend is making money off of the game would, in most jurisdictions, make the game much more than just a standard "home game". 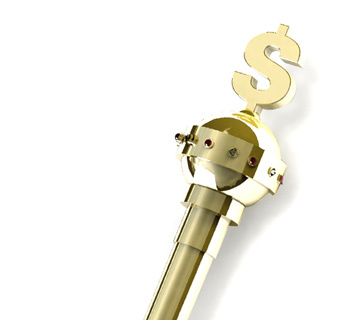 If there is a single person that stands to make a financial gain from the playing of the game, most jurisdictions will treat it as more than just a standard "home game". In short - a game with you and a couple of your buddies qualifies as a "home game". If the game is run by someone who stands to profit from the playing of the game, you are looking at more than just a "home game".